La exposición internacional FITUR, que tiene lugar anualmente en Madrid, es el primer evento turístico más grande del año. 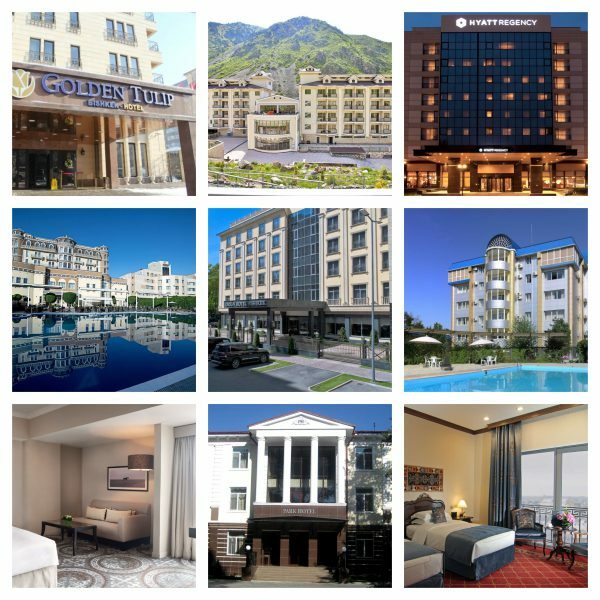 Dear colleagues, we prepared a special list of international hotels chain in Almaty, Kazakhstan. We hope that this information will be very useful for you in planning of your events and will help you to choose the best accomodation. 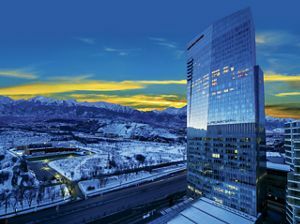 The Ritz-Carlton, Almaty is one of the best-rated locations in Almaty it is located in the business center of the city. The first true luxury hotel in Kazakhstan, The Ritz-Carlton offers unparalleled service in the best location of the city with spacious rooms and suites with a great view and exceptional spa facilities. The hotel offers 145 roomsof different categories: 100 deluxe rooms, 25 club rooms, 12 executive suite rooms, 7 club lux rooms and 1 lux room The Ritz-Carlton. Hotel offers 788 sqm. ballroom, which can be transformed into five separate halls, conference and board rooms, with a spacious pre-function area. Four meeting rooms ideally equipped to the highest standards to host various type of meetings. There you can find a business center which is fully equipped according to the modern standards. Hotel offers good conference facilities for big events and conferences. There is a spacious room which can be transformed into several small meeting rooms. The Ritz-Carlton, Almaty is a new hotel, was opened in 2013. Hotel located in a business center of the city. And this is very convenient location for business travellers. Due to a high occupancy level you better reserve a room beforehand because this hotel is very popular and it is one of the best properties in the city. Otherwise you will have to change your plans and stay in another place you don’t like. This is a five star hotel located in a southern part of the city in 10 minute drive from the city center and 30 minute drive from the mountain resort Chymbulak. There is a great view of the Tien Shan Mountains from the rooms of the hotel. Royal tulip offers 165 spacious and very well equipped rooms, 111 standard rooms, 44 lux rooms, 4 deluxe, 5 executive suits and 1 presidential suit room. Hotel offers 1 big ballroom with a maximum capacity of 1500 people. Also there are three conference and board rooms for different types of meetings, which are fully equipped with all necessary conference technique. 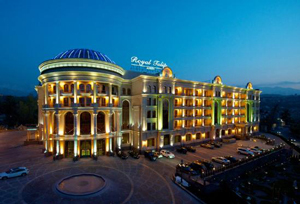 Royal tulip was opened in 2013 and this is one of the best high class and one of the biggest hotels in Almaty. Hotel offers a great variety of rooms and has good conference facilities. This is one and only hotel with fully equipped ball room for 1500 people in the city. Hotel located not in the city center, so you will spend more time for transfers to the city center. And for your information there is a very heavy traffic in the city center during the working days. Five star hotel Rixos located in the center of the city Almaty and it is one of the biggest and luxurious hotels of Almaty. It is located nearby the historical sights of the city. And it is easy to get to any part of the city from the hotel. Hotel offers 262 lux rooms and 2 presidential suits and there is a french balcony in each room. Also hotel offers rooms for people with disabilities. This hotel offers a great variety of conference facilities and services for business travellers. There are four ballrooms and conference rooms for different kind of seminars and meetings with maximum capacity up to 500 people. It is a typical hotel of international hotels chain with a great variety of rooms and services of a high quality. Rixos hotel is always fully booked so you better make a reservation beforehand to make sure that your staying or meeting is fully planned and there won’t be any surprises. If you need parking place for your event, for example, test drive, please kindly note that parking is chargeable and it is quite expensive. Intercontinental hotel located in the city center and there is a great view from the hotels rooms. Hotel situated very close to the Presidential castle, museums and business centers of Almaty. There is beautiful green garden with fountains nearby. Intercontinental hotel offers luxury accommodations in 277 rooms of different types to their guests. There you can find lux rooms, VIP lux rooms, smoking, non-smoking and also rooms for disabled people. There are 4 conference rooms with maximum capacity up to 500 people. And one ball room for 700 people. Also hotel offers several boardrooms for different kind of business meetings. Hotel located in the city center very close to the Holliday inn hotel. And that will be very comfortable for a big groups so they can stay in two hotels very close to each other and there won’t be any need to spend time for transfers. And also there is a great view from the rooms of this hotel. Hotel was opened in 2006 and some rooms need to be renovated. And unfortunately the price of these rooms a bit expensive and should to be reconsidered. Holiday Inn hotel located very close to the Central Square of Almaty. The location of this hotel is very comfortable for business tourists and tourists on leisure. The hotel is in 2 minutes way from the business center of the city and it’s the main sights. Holiday Inn hotel offers very spacious standard rooms and lux rooms with very big windows and with a great view. There are 229 rooms of 5 categories and 157 of them are non-smoking rooms. Holiday Inn hotel offers 10 specially equipped conference rooms with maximum capacity up to 410 people. And also there is a modern business center in the hotel. 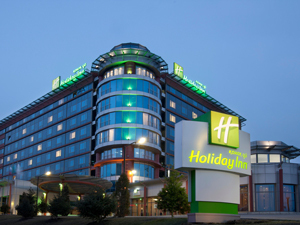 Holiday Inn hotel is the first hotel of international hotels chain in Kazakhstan. It is located in the city center. There are a good amount of single rooms and twin rooms and this is very necessary for business travellers. There could be a lack of service during the reservation of events. And some items in the guest room are missing. For example, bathrobes are available only upon your request. 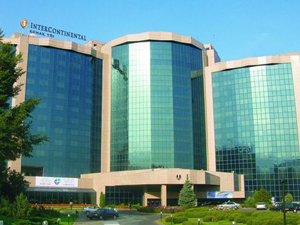 Intercontinental hotel located in the city center and there is a great view of the mountains and the city sights from the hotels rooms. There is a botanical garden, opera theater and memorial complex nearby the hotel. And there is an easy access to the central stadium Alma which is in 25 minutes way from the hotel. There are 164 rooms of different categories, smoking, non-smoking and rooms for disabled people. Hotel offers standard single rooms and executive suit rooms which are fully equipped for a comfortable rest and work. Hotel offers several conference rooms and also ball rooms for different kind of events with maximum capacity up to 500 people depending on a sitting plan. Hotel offers a reasonable price and high level service. Ak-Sai Travel Company will be more than happy to help you to organize your event. Please contact our managers for any further information. Dear colleagues, we prepared a list of the best hotels of Bishkek. We hope that this article will help you to choose the best accommodation and venue for your events. There are two worlds known 5 star hotels in the city today, which are Hyatt and Golden Tulip. Also you can choose from other local five and four star hotels in the city with a good level of service. In other regions of the country you can find 4* and 3 stars hotels as well and a great variety of guest houses. Hyatt Regency Bishkek is a five star international hotel brand in Bishkek, located in the center of the Kyrgyz Republics capital. 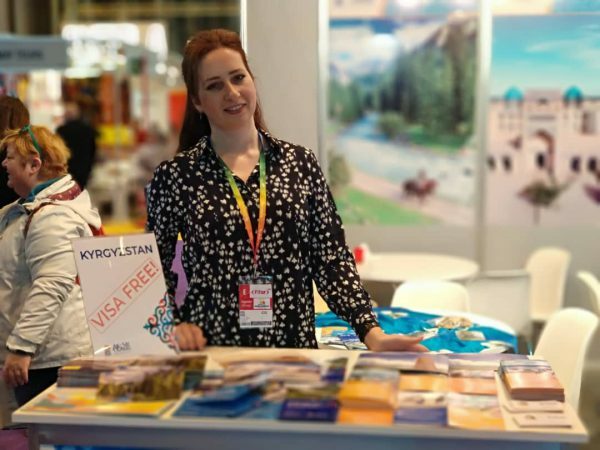 The Hotel is conveniently located right in the center of the Bishkek’s business and government district and cultural area including the Kyrgyz Republic Opera House and Art Museum. Hotel offers accommodation in 178 guest rooms and suits. There are 6 rooms for conferences and banquets with maximum capacity up to 280 people. + convenient location in a business and cultural center of Bishkek city. It takes 15-20 minutes’ walk to the main sights of the city. Jannat Regency hotel is located in the southern part of the city in fifteen minutes’ drive from the city center with very pleasant views all around. Hotel offers 96 rooms of eight different categories from standard single rooms to the luxurious presidential suites. Hotel offers a choice of 7 conference halls with ranging capacity from 20 to 400 seats fully equipped. – hotel policy allows to accommodate guest with pets. And here you better decide yourself either it is plus for you or not. Jannat Resort hotel is a mountain resort, located 24 km. away from Bishkek in Koi Tash village. This place is famous with its mineral sources, fresh mountainous air and picturesque views. Hotel offers 85 rooms of different categories with a great view from the rooms. Hotel offers 4 conference and ballrooms with maximum capacity up to 200 person. The Orion Hotel Bishkek is located in the business district surrounded by a beautiful park and greenery. 10-15 minute walk from the main city attractions, cultural centers and shopping malls. The Orion Hotel Bishkek features 84 luxurious rooms & suites. Hotel offers 3 conference and ball rooms with maximum capacity up to 250 people. Damas Hotel located in a city center, in ten minute walk from the main city attractions. 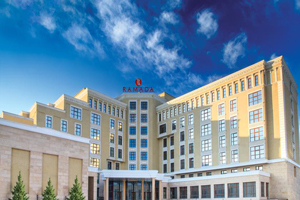 Damas hotel offers 98 rooms of different categories. Hotel features 4 rooms for conferences and events. + good conference conditions for different kinds of events. Golden Tulip Bishkek Hotel is located in the city center of Bishkek city. 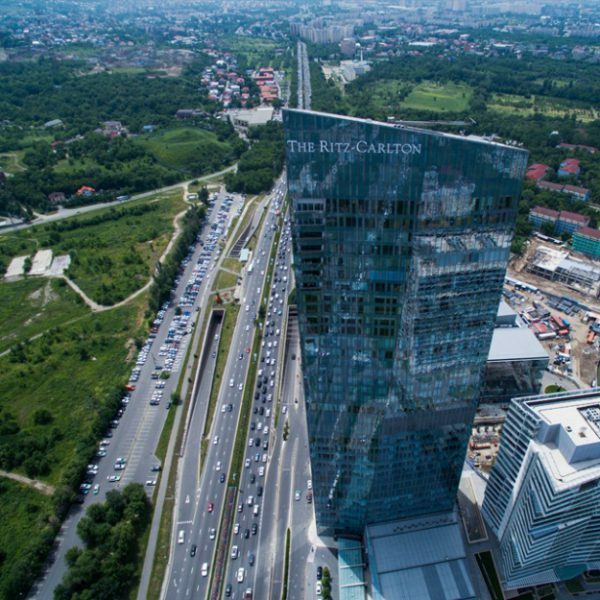 It is in close proximity to all Government ministries and agencies, International organizations, shopping malls, museums, theaters, entertainment and business centers, restaurants and Main Square. Hotel can offer 2 venues with maximum capacity up to 160 people. + convenient location close to the city center. 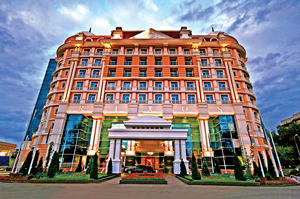 + Golden Tulip Bishkek Hotel is the First International 4 star hotel in Kyrgyzstan. Park hotel is situated in a business and cultural center of Bishkek. In five minute walk from the main square of the city Ala – Too. Hotel features 4 conference rooms with maximum capacity up to 200 people. 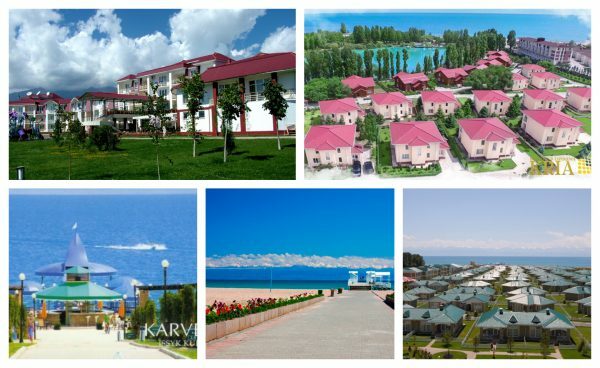 Dear colleagues, vacation season is coming and it is the best time to spend these days on the shore of Issyk Kul Lake, the incredible place not only for rest but also for a business occasions. You can spend a stunning vacation here and also hold an event or a business meeting of any level.